New Hours At Blue Bowl in Huntington Beach! We have some exciting news! 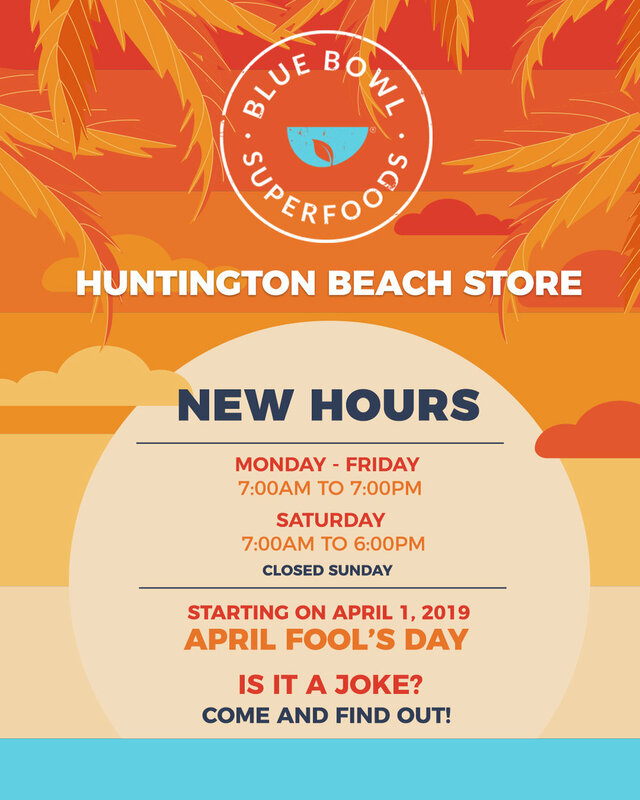 We’ll have NEW hours for our Huntington Beach store starting on Monday, April 1st! Is it an April Fool’s joke? Come in and find out!